﻿ Ten Manchester Street Hotel London. JIMAT di Agoda.com! Ada soalan mengenai Ten Manchester Street Hotel? 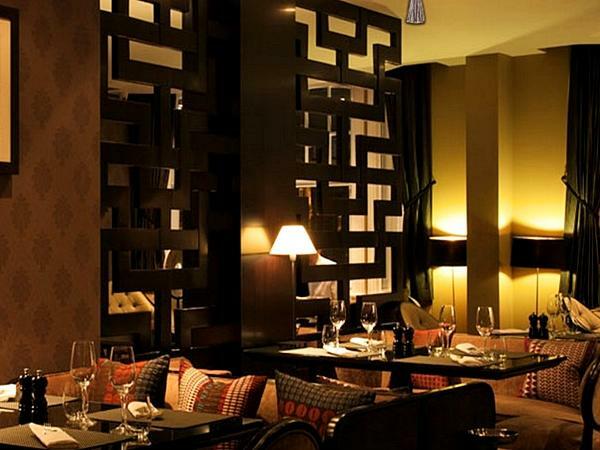 Terletak di kawasan yang indah di Marylebone, Ten Manchester Street Hotel menikmati posisi megah di hab restoran, siar-siar, beli-belah di London. Hotel ini terletak 3miles dari pusat bandar dan menyediakan akses kepada kemudahan bandar yang penting. Dengan lokasi yang mudah, hotel ini memberikan akses mudah ke tempat yang anda perlu lawati di bandar. Menawarkan tetamu hotel perkhidmatan yang unggul dan pelbagai kemudahan, Ten Manchester Street Hotel komited untuk memastikan penginapan anda berada di tahap seberapa selesa yang mungkin. Untuk menamakan beberapa kemudahan di hotel ini, terdapat khidmat bilik 24 jam, Wi-Fi percuma semua bilik, pengemasan harian, mesra kerusi roda, meja depan 24 jam. Alami bilik dengan kemudahan berkualiti tinggi sepanjang anda menginap di sini. Sebahagian bilik menyediakan televisyen skrin rata, bilik mandi tambahan, internet wayarles, internet wayarles (percuma), bilik larangan merokok untuk memudahkan tetamu berehat dan kembali bertenaga. Di samping itu, pihak hotel menawarkan aktiviti rekreasi untuk memastikan anda mempunyai perkara untuk dilakukan sepanjang penginapan anda. Ten Manchester Street Hotel merupakan pilihan yang bijak bagi pelancong ke London, menawarkan penginapan yang santai dan mudah setiap kali. 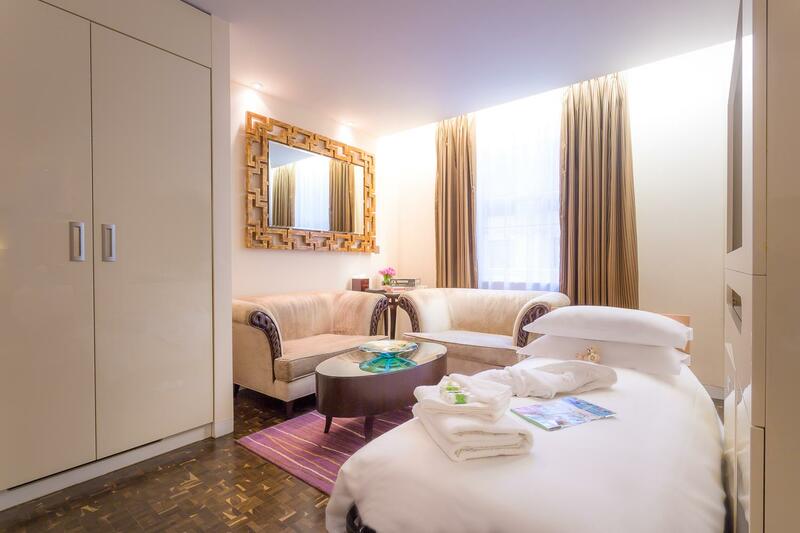 I visit London a lot and I always book at the 10 Manchester whenever possible. I chanced upon it in 2011 and have stayed here ever since. The typical room is not the largest you'll find but is well appointed and very cozy. You do not get a sense of being confined. The Junior Suites, which i usually book, are double the size of a normal room and has a living room. I work late and eat in a lot so that becomes my office. The Terrace is fantastic and they have a great humidor if you're into cigars. The Italian restaurant is very decent so I entertain clients here as well. I love the location with food options aplenty. There is a supermarket (used to be two) a short walk away and Bond Street is not far at all. Easy to get to from Paddington if you're coming in from Heathrow. Location was great. Good size room. Friendly service. Enjoyed my stay at the Ten Manchester. The room size were bigger than I had expected and the staff were very sweet (they acknowledged my birthday!) Location was perfect for me as I was spending most of my time in Oxford Street, Soho and Marble Arch area. They do have a discretionary service charge at the end which I was more than happy to pay. Staff and location were superb - some teething problems at breakfast in the restaurant (wrong food brought etc) but this was quickly corrected. Very good food. The only negative is that it's a little too self-consciously 'design' (daft chairs in reception!). We were blown away by how amazing our stay was. The room was immaculate and the service was above and beyond. The staff was so friendly and was always available to help. We felt so at home. We have a 10 month old that got sick on our trip and the staff was so helpful with helping us find medical treatment. They even asked about how he was doing the next day. The location was perfect and we were so sad to leave. We will never stay anywhere else in London. Extremely comfortable and well equipped rooms, bar/lounge staff amazing. The only downside was the reception we got on arrival which was not very welcoming. Otherwise a really super experience and I will definitely come back. We were in London for a bit of Christmas shopping whilst on holiday from Australia. This hotel is in a brilliant location, not only for shopping, eating out with lots of good restaurants and bars nearby, not to mention the shopping. It was quiet and a little bit off the beaten track but close enough for access to everything. We were out most of the time so didn't use many of the hotel's other facilities but it was a welcome retreat after a long day out. We would definitely stay here again. Great location is a relatively quiet and attractive part of London. Lovely building, well furnished, room a reasonable size and very comfortable. Staff helpful, competent and well-informed; very good breakfast. Great for short or long stay. We had a very good stay at No. 10 Manchester. We also loved the location. Marylebone High Street and the surrounding area are really nice. The staff at No. 10 Manchester were always helpful and friendly. We slept great every night, as the neighborhood is also very quiet. Room was clean and comfortable. Packed full of pros and search as I may I can recall no cons;) This hotel is brilliantly situated and a real pleasure to stay in. The staff are wonderful and so is the ever present Director if the hotel . 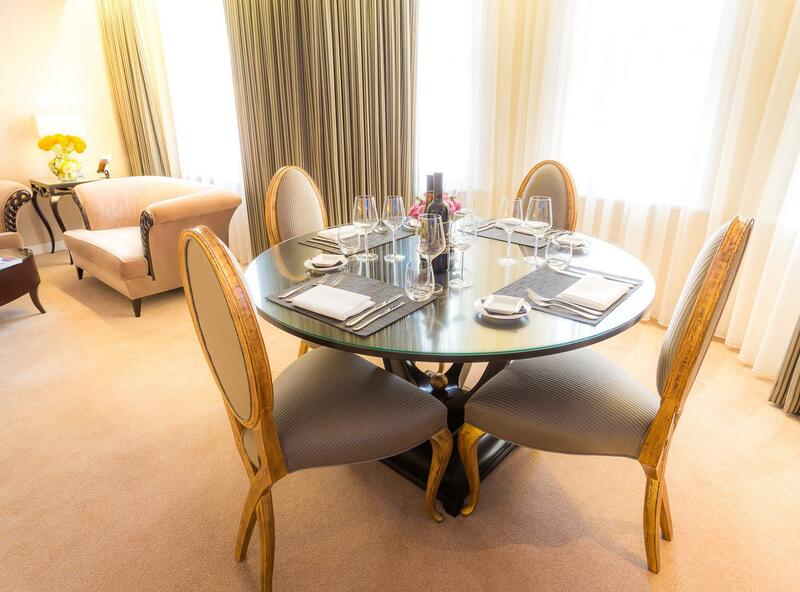 Do not hesitate to stay here you will be happy from the moment you step into Number 10 ! Till the moment you step out of Number 10 ! The hotel is in a great location just a few minutes walk from Marylebone high street and about 10 minutes walk from oxford street. The rooms are quite small but have everything you need and the staff are courteous and friendly. No where good in central London is going to be cheap but this is worth the money. Staff are helpful and I found it particularly useful to be able to leave luggage for the day after my check out - my train from London was not until the evening. This is a fabulous hotel with extremely helpful staff. Room very comfortable and exceptionally clean. Bed was excellent. The flowers along the front fence of the hotel are beautiful which make this a lovely welcoming venue. The location was perfect in a great area of London with shops and galleries a very short walk. Great hotel with kind but discreet staff. Rooms are perfect and well serviced. Excellent location on a quiet road but very central. I'd stay here again it will be the first hotel I contact when I visit London again. Wonderful hotel in beautiful Marylebone. We had a gorgeous room with fantastic terrace! Fantastic stay. Gem of a hotel in beautiful Marylebone. Short stroll to Oxford Street and Hyde Park (we chose this hotel as were were going to a concert in Hyde Park and could walk home easily afterwards). Upon arrival we were upgraded to a gorgeous Deluxe Room with large terrace. The room's decor was stylish and pristine. We actually used the terrace (with outdoor heating) quite a bit. Would definitely stay here again and recommend to friends. Lots of superb restaurants & bars on your doorstep. Staff were very friendly. 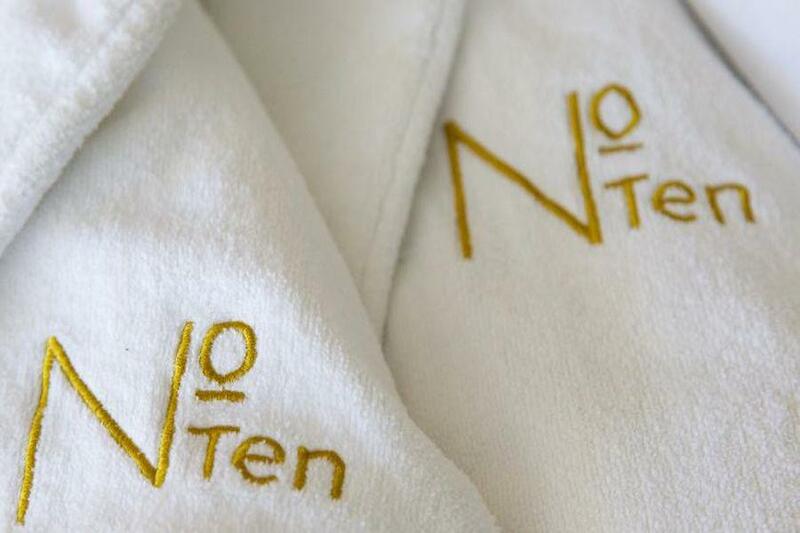 We only spent one night at the Ten Manchester Hotel but we had a very enjoyable experience. The location of the hotel is excellent; on a quiet road but only minutes away from shops, restaurants, cafe's and bars. Our hotel room was small but very comfortable and the hotel decor was very stylish and elegant. The staff were helpful and courteous at all times. The hotel rates we were charged were on the expensive side but perhaps this is standard for a top location in London. Our stay was delightful! The hotel is walking distance from so many places and tube stations. We enjoyed the Barley Mow Pub just down the street from the hotel. Everything was great and we would stay here again. I am so happy that I made the discovered this hotel. I have only just remembered to review this as I'm about to rebook a year later. The location is taken in first and is perfect, plenty of cafés, restaurants and bars within minutes of the hotel. 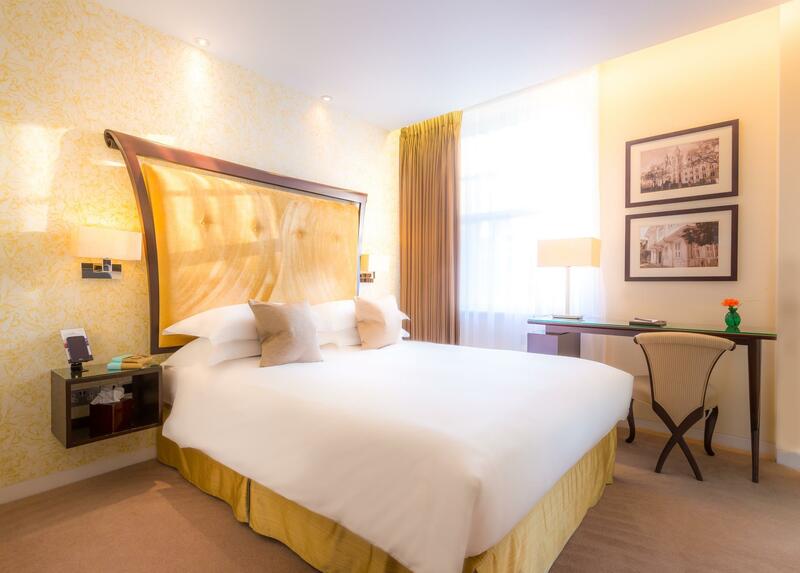 To the hotel itself, it's approach is how you hope a typical London hotel will be, smart and attractive entrance, friendly doorman and an open welcome from the receptionist, the whole lobby and check in gives the place an air of pure class. 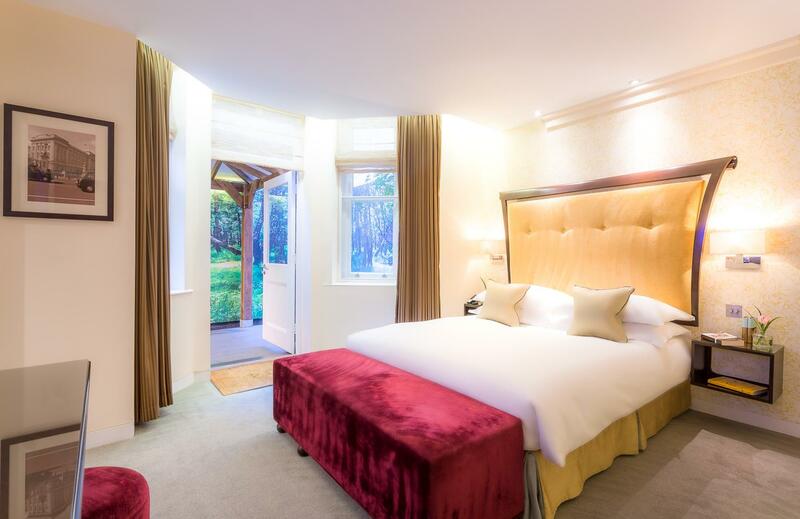 I was delighted to be upgraded to the junior suite and whilst waiting for my partner to arrive I settled into the gorgeous room and felt very much at home. We didn't eat at the hotel as we headed straight out for a wander into the centre of London but we did enjoy a nightcap at the end of the night and despite being the only people at the bar at such a late hour the bar man was more than willing to serve us until we were ready to sink into the oh so comfy bed awaiting us. I cannot wait to revisit soon! Comfortable stay at this boutique hotel. Complimentary wifi for all devices is a plus. Room size is decent and the mattress is firm and comfortable. It's about 10 mins walk from Bond Street station and 5-10 mins walk from Baker Street station so easy to explore town, although located in a fairly residential area so not a whole lot happening in the immediate vicinity of the hotel. All in all an okay stay. The staff were fantastic! We were traveling with a 5 month old baby and they went out of their way continually helping us with opening doors, folding the stroller, storing milk in the freezer etc. The room came with a private outdoor terrace with furniture and heaters so we could enjoy dinner and drinks out there while the baby slept inside.